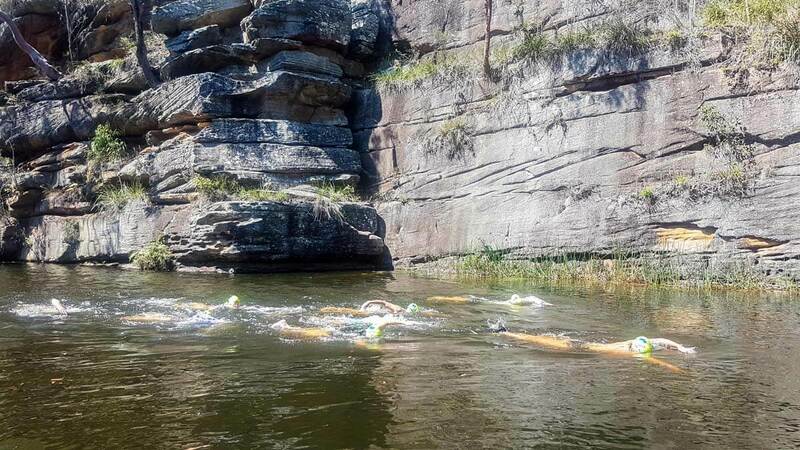 Come on a wild swimming adventure with us as we leave the city, break away from the grind of the day-to-day, and head off on an unforgettable journey. 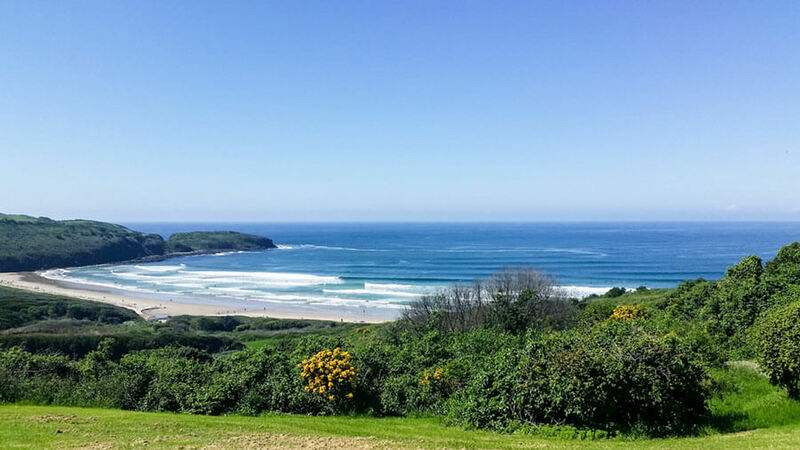 Our 3-day wet & wild weekends have it all; loads of wild swimming, a healthy dose of ocean and open water swimming training, and plenty of relaxing swims in exotic locations. 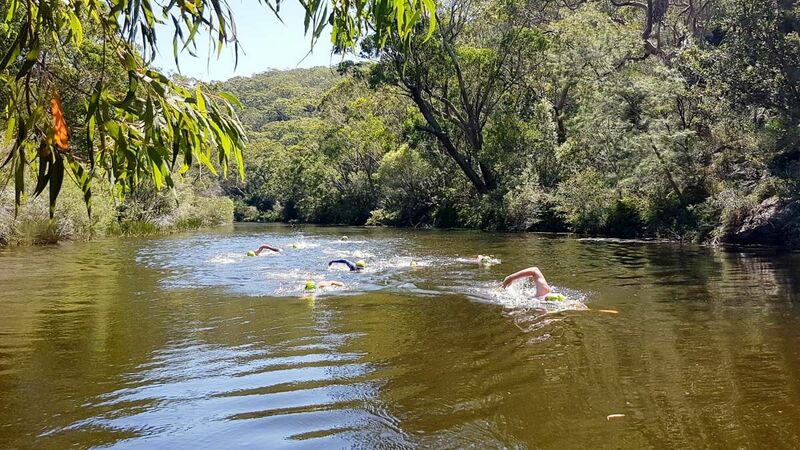 On any given weekend you might find yourself swimming in the ocean, rivers, lakes and rock pools. 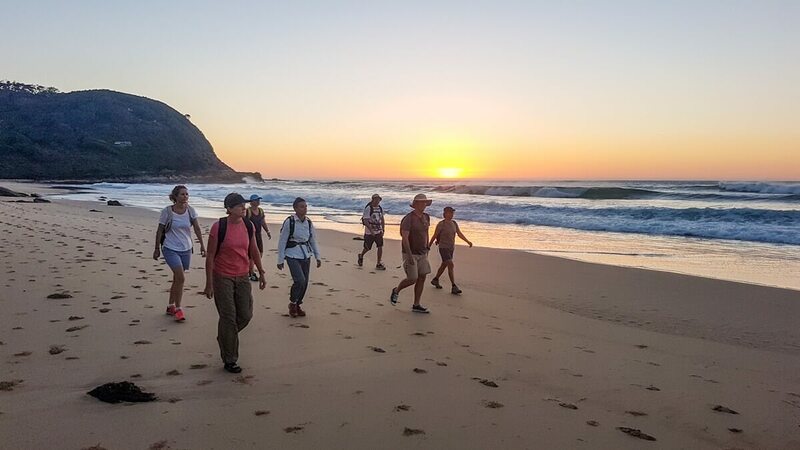 There’s also a chance you’ll be hiking through scenic bush to secluded waterfalls and rock pools, or joining a yoga class as the sun rises or sets. 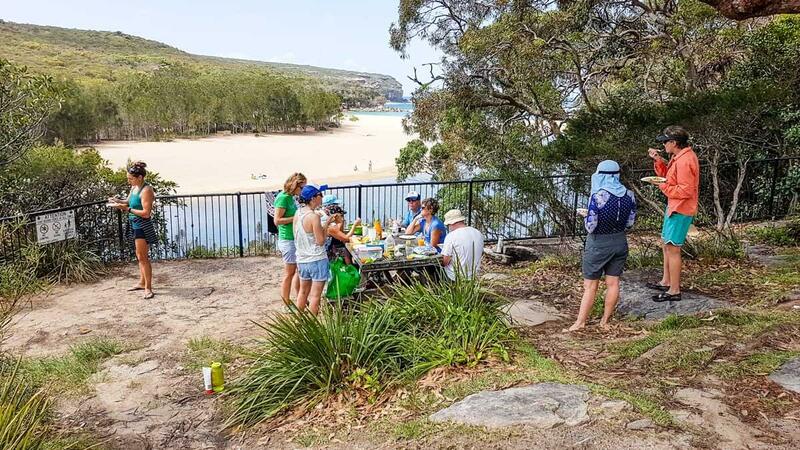 In-between all the adventure, you’ll get to enjoy the chilled out surrounds of the area (usually state and national parks), meet new friends and toast marshmallows on the bonfire. These weekends aren’t for the city princess though! You’ll be ‘roughing it’ in shared bunk-room accommodation, eating wholesome home-cooked camp food, and sitting around the campfire under the stars! 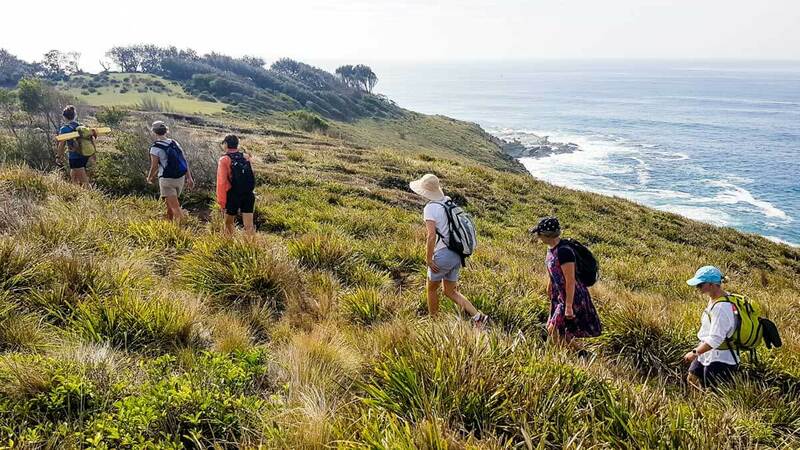 If you’re a swimmer looking to explore new locations, meet new friends and get out in nature, you’ll be in your element on our wet & wild weekends. 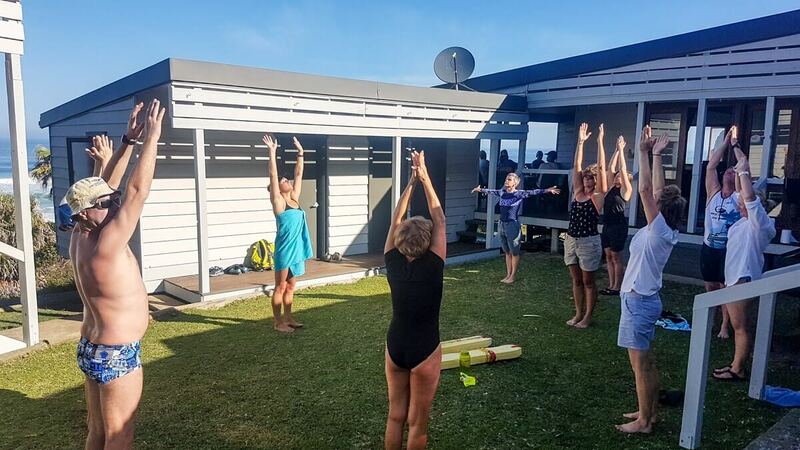 Our Wet & Wild Weekend @ The Palms is the ultimate escape from the hustle and bustle of real life and an opportunity to complete all of OceanFit’s signature training in one go. You’ll hike your way deep into the park, where a phone signal is rare, and spend your weekend wild swimming in beautiful scenic locations. By the end of the weekend, you’ll have trained to become a well-rounded ocean swimmer, ready to take on your next ocean swim challenge! Shared mixed bunkrooms. No hot showers. Mixed swim distances for all abilities. Medium/hard. Requires multiple short hikes, incl. hilly tracks & rocks. *Note, all swims are weather and conditions dependent. Easy/medium. Some steep & uneven walks to water. Wholesome home-cooked food – you’ll never go hungry! When are wet & wild weekends scheduled? W&WW’s are scheduled throughout the summer season, with usually one each month. Keep an eye out on the website for when weekends are scheduled, and book in early to avoid missing out! How many people come along? The weekends are open to a maximum of 12 swimmers and we support participants with an instructor ratio of 1:6. Do I need to have completed an OceanFit clinic to come along? No. 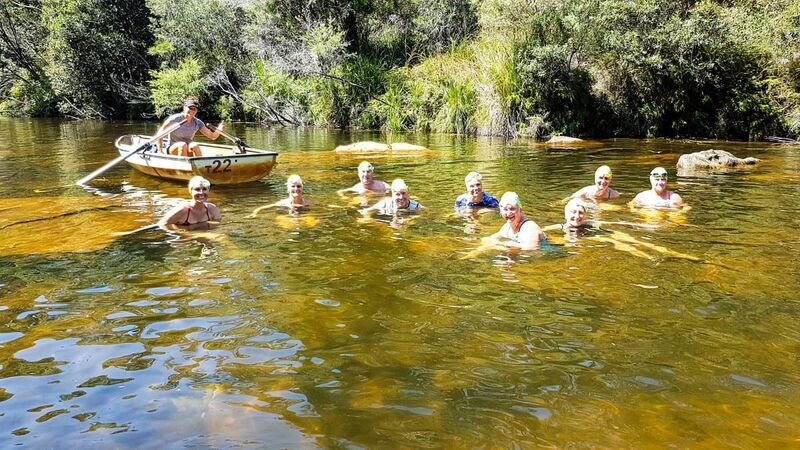 Weekends are run at a beginner level, with options for longer swims for those fit and able. Ocean swimming training is included in every weekend. What training will we do? 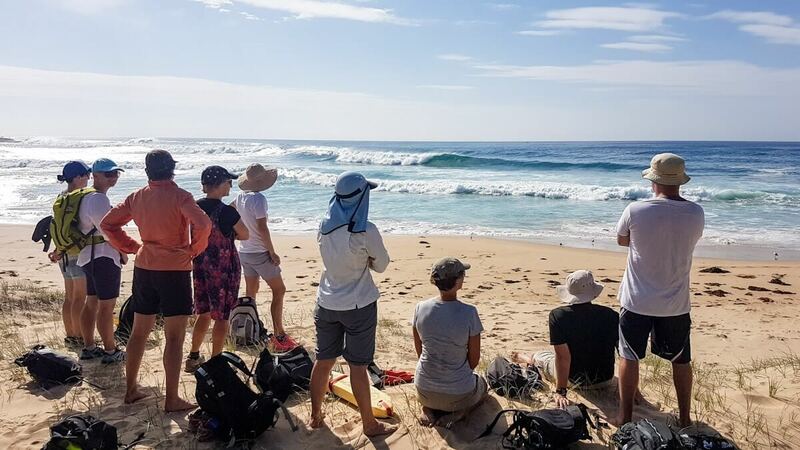 You will complete ocean swimming training from the Learn to ocean swim and Negotiating the surf clinics. This is a great way to get all the content from both these clinics, plus all the other swims in one great-value package. W&WW’s are the only time you can complete both our primary clinics over a single weekend. 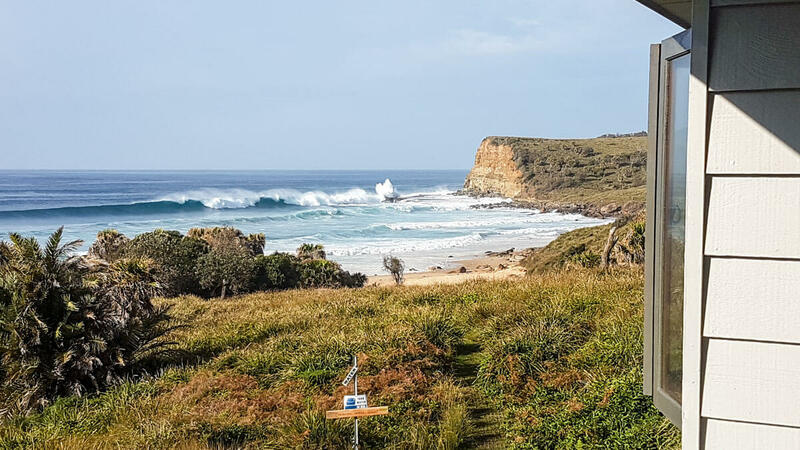 At The Farm we will be staying at the Killalea State Park camp ground. You can choose from a bunk room bed, or you can bring your own tent. At The Palms we will be staying in the Burning Palms SLSC. There are shared bunkrooms. We’ll eat classic camp food, like bacon and eggs, salads, pastas, BBQ’s and sandwiches. If you have special food requirements we can discuss this with you. Should I wait until the weekend is confirmed before registering? No! We need minimum numbers booked in before the 4-week cut off to confirm the weekend will go ahead. If you wait to this point the weekend may already have been cancelled. Can I stay locally, in my own accomodation? No. The beauty of our weekend getaways is that we all stay together, build strong friendships, and have fun as a group. We also have a very tight schedule with loads to fit in, so we need everyone together to get things moving fast. I will be flying into Sydney, should I book flights early? If you are flying into Sydney especially for a WW&W, we strongly recommend holding off booking your flights until we confirm the weekend is 100% going ahead. We will be able to tell you if the weekend is going ahead 4-weeks before the scheduled weekend. Registrations are 100% refunded if the weekend does not go ahead. 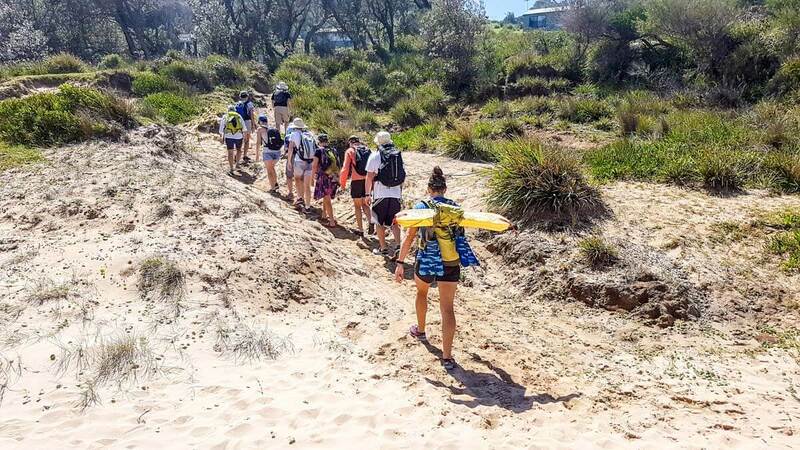 We’ll send you a comprehensive list of swimming, sleeping and general clothing and equipment requirements to ensure you’re comfortable and ready to take on all those swims! What if I don't want to do a swim? We’re not going to make you do anything. There’ll be plenty of options to swim, but if you choose to sit one out, we’re sure you’ll be able to look after yourself. How to we get there and around? We’ll be renting vans to chaperone you around the activities. It’s much better value for money and it keeps everyone together. If you’d like to drive, please discuss this with us first. There is no discount for those who end up driving to the location themselves. The swims vary in length from 750m to 2km, with some swims merely social dips. The shorter swim lengths are fixed for everyone, the longer swims have short and long course options. How far to I have to be able to swim non-stop to participate? You need to be able to comfortably swim 1km – but there’s no speed test. Am I too old? too young? What type of person does the camp cater for? W&WW’s are for swimmers 18+ only. We accommodate swimmers of all ages, whether you’re 25 or 65! All we care about is that you bring a chilled-out, fun and courageous attitude because these weekends are about making the most of conditions no matter what we’re dealt with. What happens if the weather & conditions aren't very good? Wet & wild weekends will go ahead; rain, hail or shine. We have backup locations for ocean swimming sessions, no matter what the surf conditions serve up. There is no refund, or rescheduling, for participants who choose not to attend due to the weather and conditions.